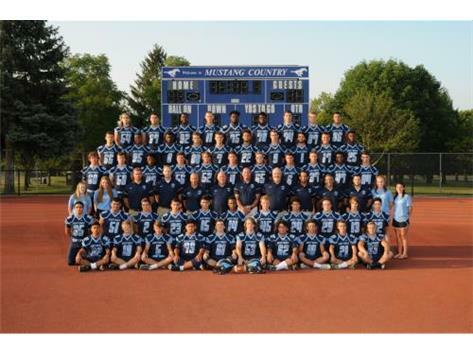 The Mustangs begin the year with a demanding schedule on the road vs Bolingbrook week one, and a home opener in the WSC crossover vs Oak Park week two. The first two games will be a critical test for our team. Downers South is looking to have a faster start than 2017 when they opened 0-2 against the same opponents. 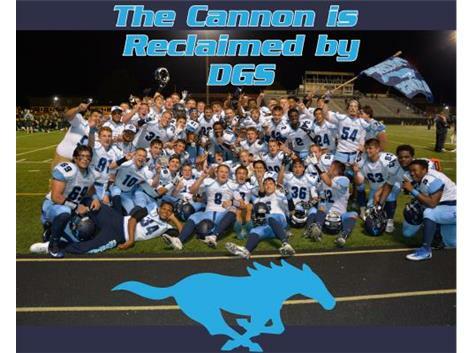 The Mustangs seek their first conference title since 2013. 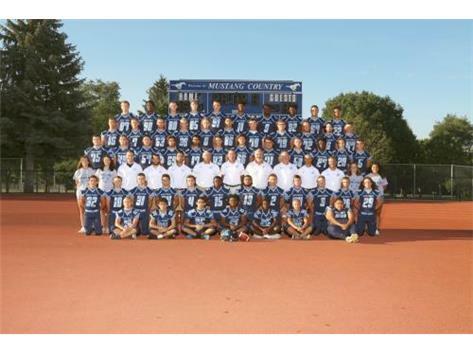 The 2017 team lost quarterbacks last season, and finished the season with Sophomore QB Jayden Lambert at the helm. Despite these injuries, The Mustangs fought through and earned a Week 9 WSC Gold conference championship game vs Willowbrook. South returns 5 Starters on defense, 3 were All-Conference as juniors. On offense, they return 6 starters 2 of which were All-Conference in 2017. Downers South defense will undoubtedly be led by their defensive line. 3 returning starters, Shawn Lee, Kendall Burrow, and Ali Issa will anchor the defense. The Mustangs only have to replace All-State multi-sport football and wrestler Sergio Villalobos on a strong defensive line from 2017. Division 1 recruit unior Shawn Lee has been on the varsity since his Freshman year, should represent a dominant force on the inside. Kendall Burrow has received interests from several schools (San Diego, Dayton, and Air Force) will create a dominant inside presence. Ali Issa will start in his third straight season as the Mustangs speed rusher. Keegan Garland SR (OLB) will return to add experience to LB group, that is looking to replace to graduating seniors. Keegan was a productive junior and should provide leadership to the two new starters. The secondary will be anchored by Jaelynn Blecke (Northern Michigan offer) at Free Safety. Blecke will start at DB and WR for the Mustangs. South is looking forward to adding athletic sophomore Devean Washington to anchor one of the corner positions. This is the most talent at skill positions Downers South has had since the Josh and Scottie Williams era. South will return 6 starters many of whom will be 2-way players. Downers South was forced to go to sophomore QB Jayden Lambert (Division 1 recruit) after both varsity QB’s were lost in game 4 vs Hinsdale South. He did a good job of leading the Mustangs to a three-game win streak mid season last year. Lambert placed 3rd in triple jump at the IHSA state finals in May. Lambert is explosive, talented athlete who will have to have his hands on the ball. Expect him to burst on the scene this year. Lambert will be on the field in a variety of positions on offense, (QB WR RB) Senior George Ross is coming off a torn labrum in 2017 and will be the starting quarterback. George is a solid leader and good decision maker for the Mustangs. His role will be to get the ball distributed to multiple playmakers, Jaelyn Blecke, Jayden Lambert, Kyle Heavey, Devean Washington, Ali Issa, and Vinny Provenzano. Running back will be split among three players expect Washington and Lambert to carry the ball along with returning SR Kenton Johnson. The offensive line should be a good compliment to the skill positions this year. Junior Shawn Lee, along with seniors Kendall Burrow , Max Foster and Nick Sostak all return with experience. The Mustangs return SR Tyler Bachara who is being recruited (Augustana, St. Norberts, ISU) will take care of the kicking and punting duties. Bachara hit multiple field goals of 40+ yards as a junior.